When a patient requires infusion therapy that can be administered at home or in our newly renovated ambulatory infusion center, Pharmacare will provide the necessary care for medications along with around-the-clock assistance to every patient and caregiver we serve. When you're referred to an infusion therapy provider, you might have a lot of questions. Will you be able to manage intravenous treatment on your own? Will you still be able to take care of your family? Will you still be able to work? To travel? In most cases, the answer is yes. 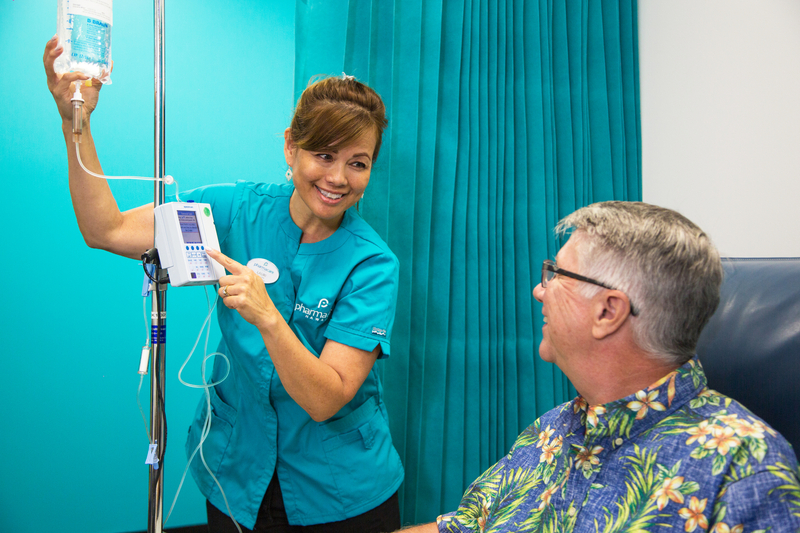 Pharmacare Hawaii is fully equipped to provide you with the tools and treatment you need to manage infusion therapy on your own. Our highly credentialed staff can help you set up treatments at home while working very closely with your entire healthcare team. That means you can be assured of excellent, personalized management of your condition. If home treatments aren't ideal, you can use our conveniently-located infusion suite. Wherever suits you best, suits us best, too.